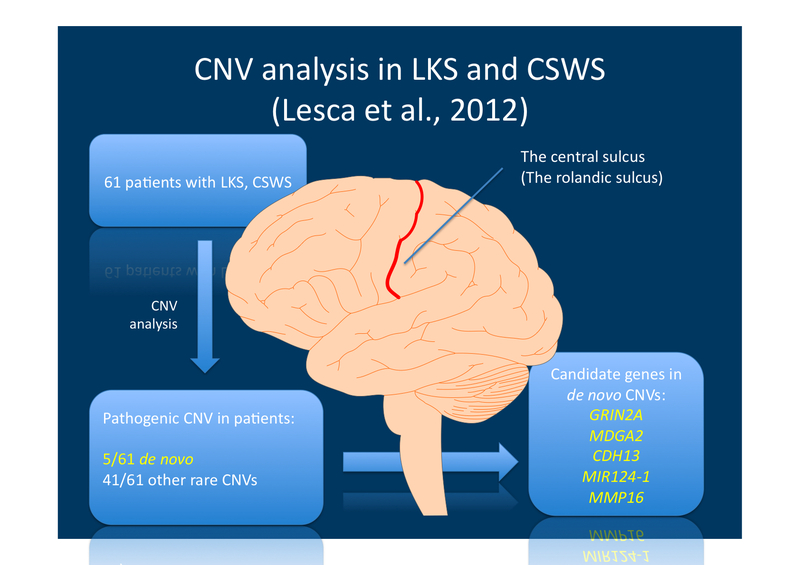 CNV analysis is LKS/CSWS. The authors identify 5 bona fide de novo CNVs in 61 patients, a frequency that is comparable to studies in other neurodevelopmental disorders. Many of the other variants identified in this study probably represent benign variants.